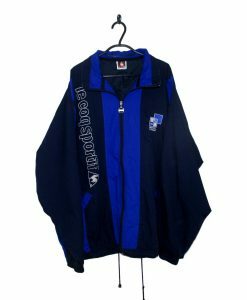 Details: Embroidered Schalke 04 badge and Adidas logo. 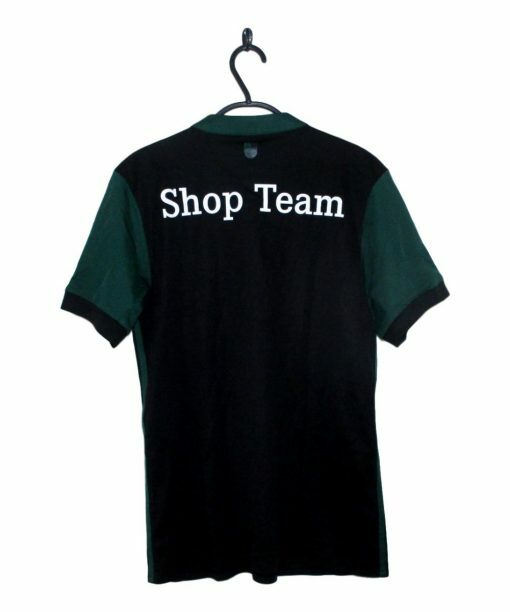 Sponsor printed and ‘Shop Team’ printed. Description: As New! No faults! 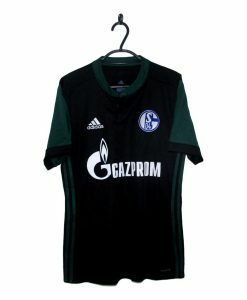 The 2017-18 Schalke 04 Third Shirt made by Adidas has a black base colour with dark green sleeves and collar. The cuffs are black and the colour is dark green as are the Adidas stripes on the sides of the football shirt. 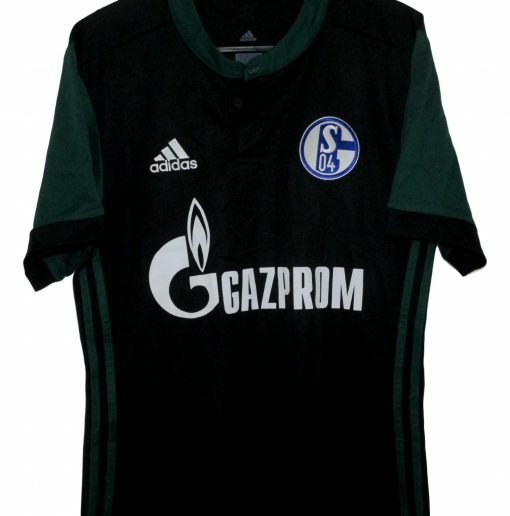 A white Adidas logo is placed on the right breast with the Schalke 04 badge on the left breast. Gazprom have their name in the centre of the jersey coloured white.